Cake smashes are great fun and suitable for 1st and 2nd birthdays. Read below for more information on how they work. 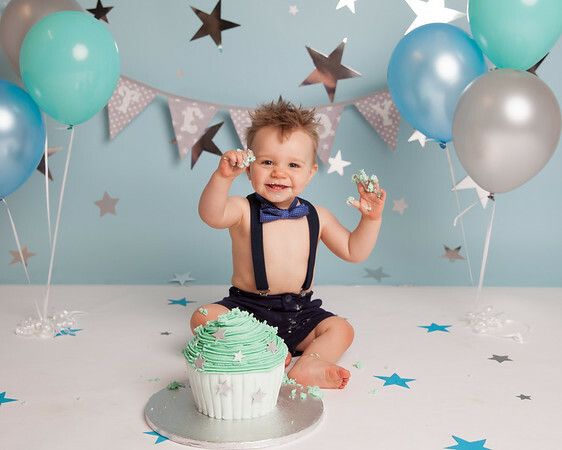 What better way to celebrate your baby's first birthday than with an amazing cake smash session!! You've done (hopefully) the sleepless nights! you've conquered weaning! and life is getting a little easier! But your sweet baby has changed beyond belief in 12 short months. Mark the occasion with a cake smash and invest in the memories. How does it work? 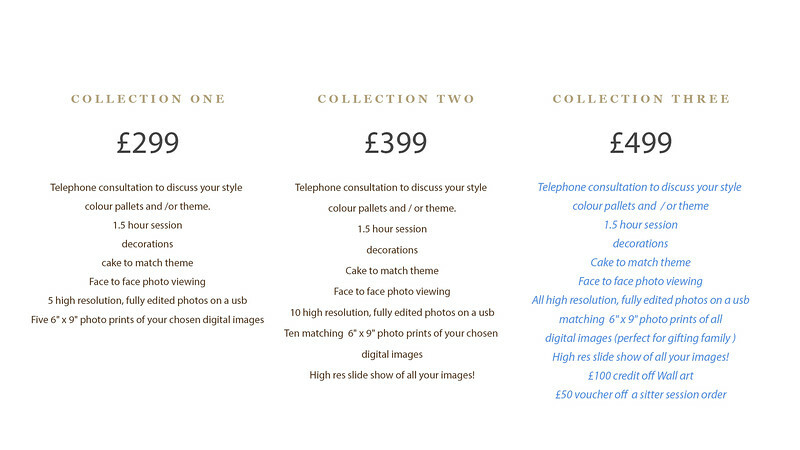 We start off with a phone consultation or if you'd like to pop into the studio thats cool too! We will discuss what colour scheme or theme you would like and chat about your baby's personality so we can get the best from the session. On the day you will arrive and we will start off with a few pictures of him/her before the cake. Then the cake comes out and its time to get messy!! There is no session fee! I do this free so there is absolutely no risk to you. The session itself is around1 hour and I then edit the gallery for around 6-8 hours. This will cost you nothing. I do however ask for a deposit of £99 when you book your session, this is to stop people not turning up for their session. The £99 is then taken off your order. If you wish to place an order then there is a minimum spend of the £299 which is the smallest package available.